J. Justin Older Eyelid Institute is the Tampa Bay Area’s premier facility for cosmetic and reconstructive surgery of the eyelids, including blepharoplasty, ptosis correction, repair of ectropion and entropion, and treatment of eyelid cancer. We specialize only in eyelid surgery! Cosmetic or reconstructive eyelid surgery might just be what you need to feel and look revitalized. 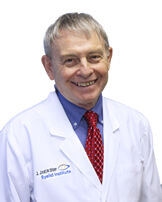 Our board certified ophthalmologist, Dr. Jay Older has over 30 years of experience in the highly specialized field of ophthalmic plastic and reconstructive surgery. Sagging, puffy eyes can rob your face of its youth. Cosmetic eyelid surgery can remove excess skin from the eyes and give your face a healthy, vibrant appearance. 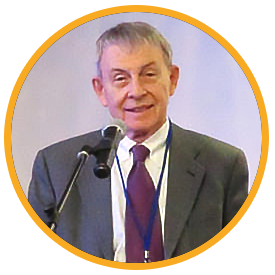 Dr Older uses new radiosurgery technology for most procedures. Radiosurgery minimizes bruising and discomfort. It also promotes a more rapid recovery time than traditional cosmetic surgery. Upper Eyelid Blepharoplasty (lid lift) is often considered medically necessary and might be covered by insurance. Please call 813-971-3846 to schedule your consultation at the J. Justin Older Eyelid Institute. Your eyes will look great! One of the first areas of the face to exhibit signs of aging is the area around the eyes. Under-eye bags and sagging upper eyelids that come with age can be corrected through cosmetic eyelid surgery, also known as blepharoplasty. This relatively minor cosmetic surgery procedure can refresh the appearance of the face and leave it looking years younger. View actual patients before and after photographs from cosmetic surgery done by the Eyelid Institute. Gorgeous result, excellent communication before during after surgery. Excellent staff and Dr Older comes across as a compassionate father to his patients. I EXTREMELY AND HIGHLY RECOMMEND this surgeon. I cannot express what a wonderful experience I had with Dr. Older and my upper eyelid surgery. I would say the procedure was virtually painless. You do need to do the icing as recommended and you will have swelling and slight bruising for at least two weeks. I am beyond thrilled with my result and it definitely exceeded my expectations. Need Help With Financing? Click to Apply for CareCredit Today.